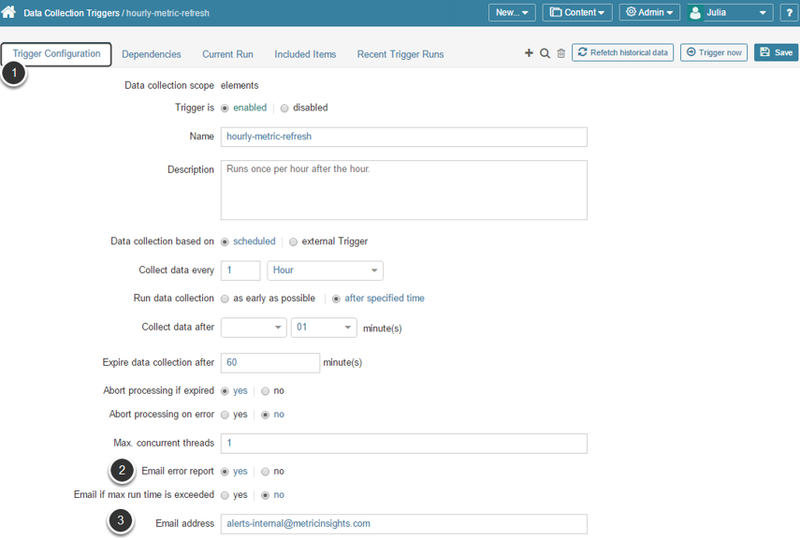 The Data Collection Trigger Editor has an option of sending notifications on any errors occurring during Data Collection. This setting usually defaults to 'no', so you must update the Editor to initiate the notification sending process. 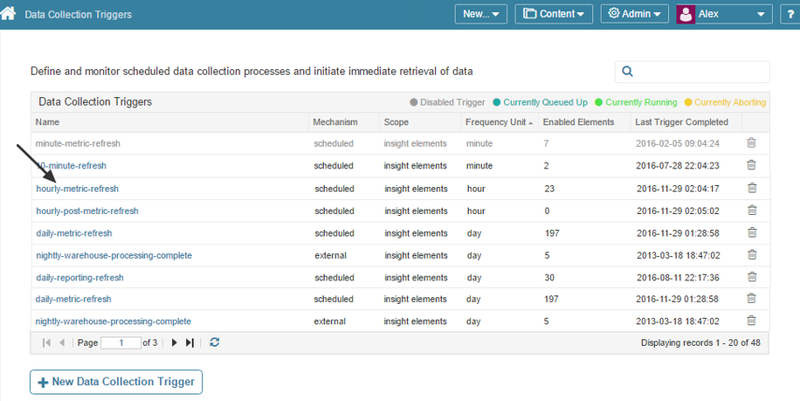 This feature allows you to take follow-up action if there are problems in fetching data. To create a Data Collection Trigger, see Setting Up Data Collection Triggers. NOTE: The format of Data Collection Trigger Editor is slightly different for Version 3. Select a trigger from the list.